Last night we had the opportunity to see Rockabilly legend Glen Glenn perform at a free concert at Heritage Park in La Verne, CA. Glen only sang a couple songs near the end of the show, but he was a lot of fun! When he said he had free photos of his smiling face for the young girls in the audience, my wife ran down and got one and he signed it for her. 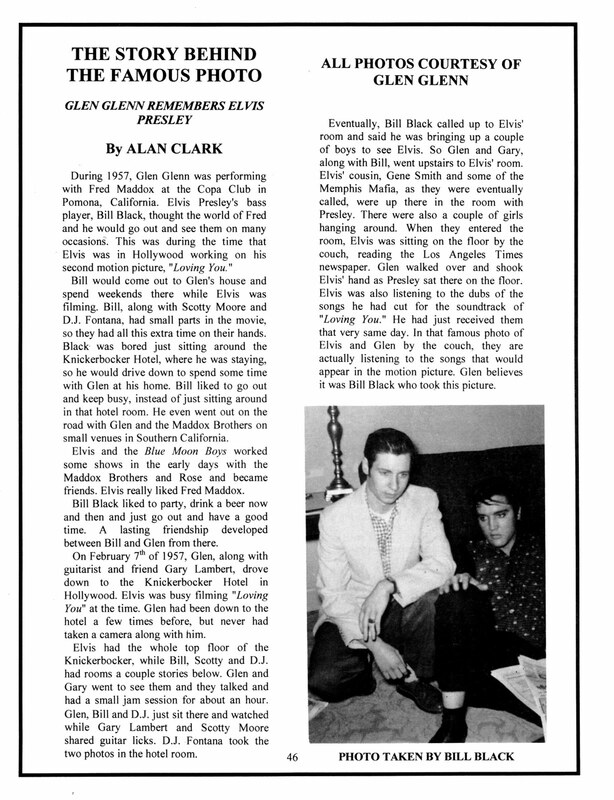 We also picked up a really cool book about Elvis that guitarist Alan Clark was selling. Lots of rare photos and news clippings. 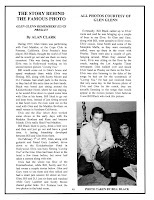 Alan runs The Alan Clark Archives and has other collectible books for sale. 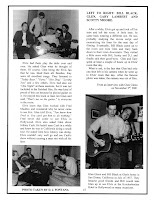 Fun story about Carl Perkins in his biography. Check it out if you get a chance or maybe pick up a book or two. More info about Glen Glenn can be found here. Pages from the book "Elvis Presley The New SInging Rage!!!" by Alan Clark ©2002 by The Alan Clark Archives. 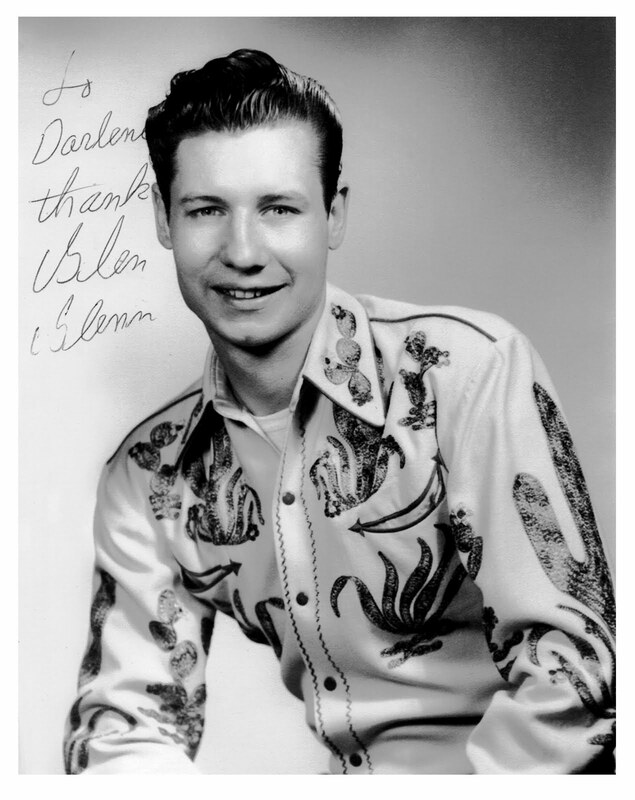 Here's an original Glen Glenn recording from 1958. Not bad for a high school dropout. Here's what Glen looked like when we saw him. He's 76 years old. What's this? An actual quality musical act? When did they stop booking the Eagles tribute bands? La Verne, Ca is stepping up inn the world. We saw actual hipsters from Pasadena who drove all the way to La Verne just to see Glen. HA! Take THAT Pasadena!!! My next kid is gonna be named Glen Glen.